In the 1960s, celebrities like Leonard Nimoy and William Shatner released record albums. Today, they make wines. And while the vinyl boomlet faded rather quickly, the parade of celebri-fied wines continues to proliferate. Death metal singers, senators, quarterbacks…they’ve all got wines. Some are more about the fan base than about vineyards, but as long as they sell, that’s just fine. The trick is that there are now so many. Nobody is going to stock them all. Even if you do stock several, grouping them might invite shoppers to question their vinous merits. Indeed, celebrity has become so elastic in meaning, it’s not even a given that all (or even most) of your customers will recognize a wine’s pop-culture pedigree. Even if your staff are not fans of a celebrity, they should know what type of fan base they have, so they can steer customers accordingly. The race car driver founded this winery in 1996 and has a big tasting room in Napa. The wines are fairly widely distributed but are surprisingly low profile. The winery tripled its production, to 2 million bottles, after the actor invested in it in 2009. Make of that what you will. 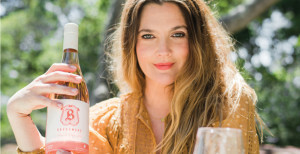 Drew Barrymore is the pretty face of three wines made in partnership with Jackson Family Wines’ brand Carmel Road, including Drew’s Blend Pinot Noir and a Barrymore by Carmel Road Pinot Grigio. 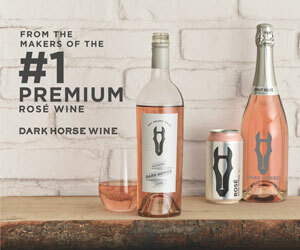 There’s also a Rosé of Pinot Noir that sold out quickly; look for more in April. The retired football player founded Doubleback with Leonetti winemaker Chris Figgins, but Doubleback has its own winemaker now. Bledsoe seems fairly involved on the business end. The big Bordeaux reds are well-regarded. The Godfather director is one of the most involved wine celebrities, and the most ambitious and visionary of all, from restoring Inglenook to its former glory in Napa Valley to establishing, in Sonoma County, the only winery in America with a swimming pool and cabanas for visitors. Some day he might be better known for the wines than the movies. If you haven’t tried the Coppola brand wines in a while, you might be impressed. Ditka has his face on restaurants, steaks, sausages and cigars as well as these wines made by Terlato Wines. If you’re reading this in Chicago you already knew that. He’s big in the Windy City, but well-known coast to coast by football fans. In 2014 these slightly high-priced wines (Moscato-fruit blends in the $18 retail range) sold out of the initial 15,000-case production. The hiphop artist sits in the front row for a lot of Golden State Warriors games, which will enhance his visibility this winter. The golfer’s winery is a popular visit for visitors to Stellenbosch. He owns vineyards and his overall production is big enough to make the wines widely available here. I have a question, though, about his (and Greg Norman’s and Nick Faldo’s and Arnold Palmer’s) wine: since golf’s fan base has the perfect demographics for luxury products, why are all of their wines basically entry level? The upside is the singer’s wines are made by Joey Tensley, one of Robert Parker’s favorite winemakers in Santa Barbara County. The downsides are that even though her father owns land in the county, the wine is made from bulk fruit, plus they’re expensive. The audience for them might depend on how well her latest album “M.I.L.F.$” rejuvenates her career. 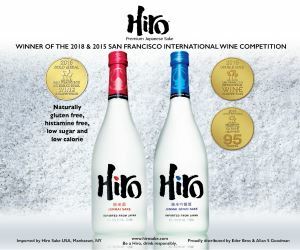 Made by lesser-known Napa winery August Briggs, the wines have a fairly high price point that seems at odds with the driver’s NASCAR fan base. The “Great One” has an estate winery in his native Ontario, but he has released “No. 99,” an entry-level tier made from California Central Coast fruit. A serious wine businessman north of the border, but below it seems like he’s just cashing in. Not the most famous wine celebrity, but one who really gets his hands dirty. After 13 seasons in the NFL, Hoage bought land in Paso Robles and farms it himself, and also makes the wines, which are pretty good. The cult winery Saxum, owned by his winemaking mentor Justin Smith, also makes some excellent wines from Hoage’s vineyard. The rap impresario announced in July he will change the marketing of this very expensive Champagne in a metal bottle to get away from nightclubs and bring it into wider distribution. 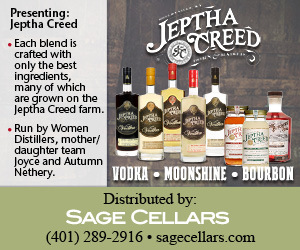 Like Terry Hoage, the lead singer of Tool is hands-on, farming and making the wines himself. He’d probably have better luck if he was in California instead of Arizona, but the wines sell well because Tool is still more popular than you probably realize. The Twin Peaks star has been collaborating with Dunham Cellars for relatively pricey red wines for several years. This year, he might be onto something by offering an expensive rosé just as that is emerging as a category where people will pay a celebrity premium. Keep an eye on this with a Twin Peaks remake scheduled to debut next year. Marino is collaborating with his former backup quarterback Damon Huard on this, but the more important name is winemaker Chris Peterson, formerly of DeLille Cellars and currently at Avennia. One of the best high-end celebrity wines. One of the oddest celebrity wines is potentially one you’ll see the most of. Jim Nantz is a sports announcer, seemingly not a star with the wattage of Madonna or Dave Matthews, who also have wines. But Nantz is in collaboration with Deutsch Family Wine & Spirits, the people who put Yellow Tail on the map. The wines are made from quality fruit from vineyards like Dutton Ranch and by good winemakers like Dan Goldfield of Dutton-Goldfield. The actor who once played the Antichrist has been an angel in Central Otago, setting up an organic vineyard for terroir-driven wines and serving as a face for the whole region. He’s not involved on the winemaking side, but he has been crucial in setting the business philosophy. This was one romantic success story, what with Miraval being the place “Brangelina” married, and with the new owners humbly represented as Jolie-Pitt Cellars on the bask label. Classic dry character netted the wine 90 points, and a combination of publicity and distribution put it right at the top of the class among Provence stars. Will the star fade with Brad and Angie splitting up? Stay tuned. A small-production Cabernet from Diamond Mountain with Thomas Rivers Brown as winemaker. Robert Parker wrote, “Here’s a celebrity wine that definitely matches the brilliance of the celebrity himself.” Super-high priced, though, so it’s not likely you’ll see much of it. Sting and his wife bought a run-down Tuscan estate and rebuilt it, hiring biodynamic guru Alan York as a consultant. The wines are named after his songs and the labels are cool. It’s a serious effort. Guitarist Jimmy Stafford apparently approves the final blend of these wines made by The Wine Group. Train has sold more than 10 million albums; the band’s popularity has gotten the wine in restaurants like the Hard Rock Cafe. The retired NFL player is very involved in choosing the blends for his wines. Downside: spent his whole career with the Raiders and Packers, whose fan bases aren’t known as luxury lovers, and the wines aren’t cheap.